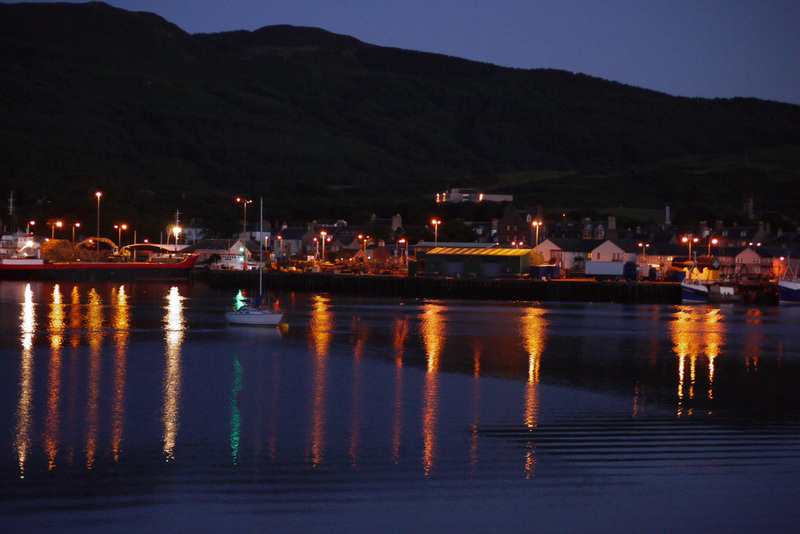 Campbeltown was originally known as Dalruadhain an early capital of the Dalriadan kingdom, then "Chille-Chiarain" - "Church/cell of Saint Kerran", it became a stronghold of the Macdonalds, Lords of the Isles, who renamed it "Kinlochkerran" - the head of Kerran's loch, it was also referred to as Kinloch Kilkerran. After the Macdonalds fell out of favour, King James V granted the area to the Campbells of Argyll, and when they finally ousted the Macdonalds it became Campbell's Town after Archibald Campbell (Earl of Argyll) in 1667. 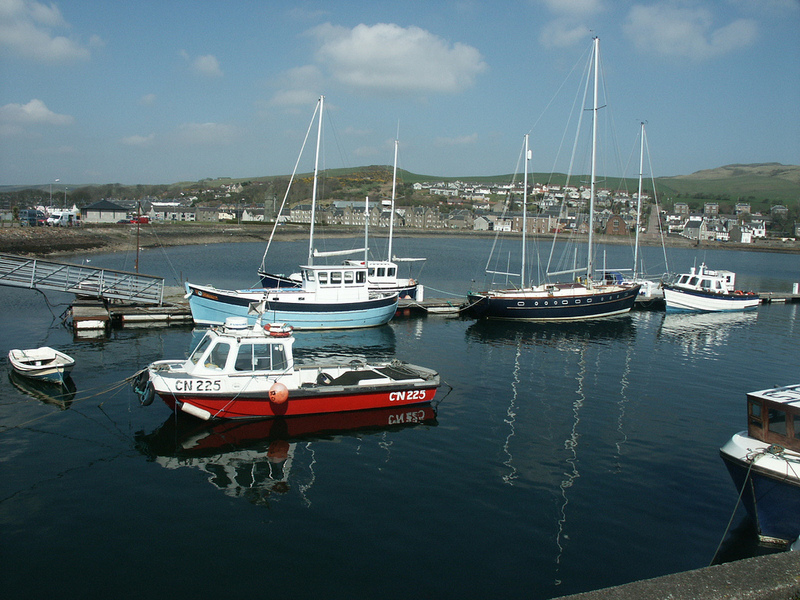 Dalintober - a web development business based in Campbeltown, many of the websites are related to Kintyre. 5 miles back across the peninsula from Campbeltown - survived until 1934. 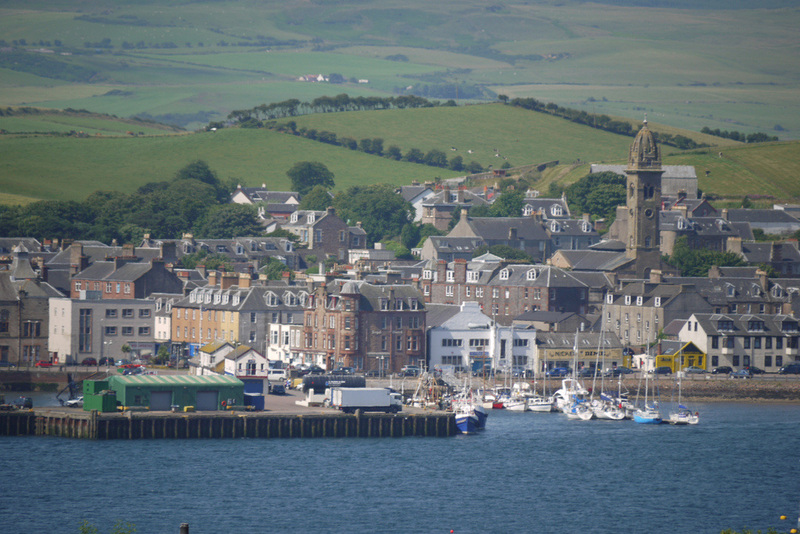 Campbeltown was once known as the Whisky Capital - for good reason, it had 34 distilleries within the town and was regarded as a whisky region in its own right. When the cheapest and easiest method of transport was by sea, Campbeltown was well placed - a relatively short voyage to the Clyde and Glasgow. Land access to Campbeltown is a different story, though there were other factors in Campbeltown's decline in whisky fortunes. US Prohibition didn't help, but Campbeltown's distilleries didn't help themselves either, and got the reputation for producing quantity rather than quality. 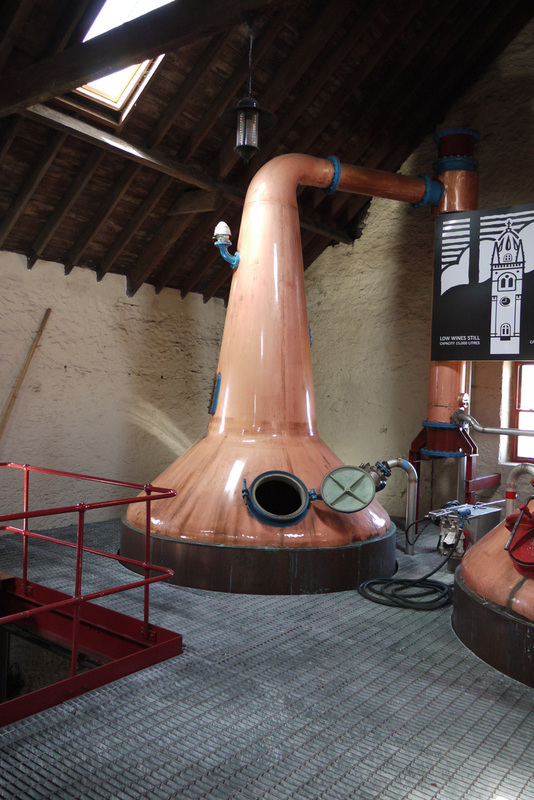 It now has just three distilleries - Springbank, Glengyle and Glen Scotia. There is also a whisky shop, Cadenheads on Longrow. Lost Distilleries of Campbeltown - this site is by Teimei Horiuchi, a Japanese photographer - the photos are better than his English (then again his English is a lot better than my Japanese), an interesting piece of Campbeltown's history. 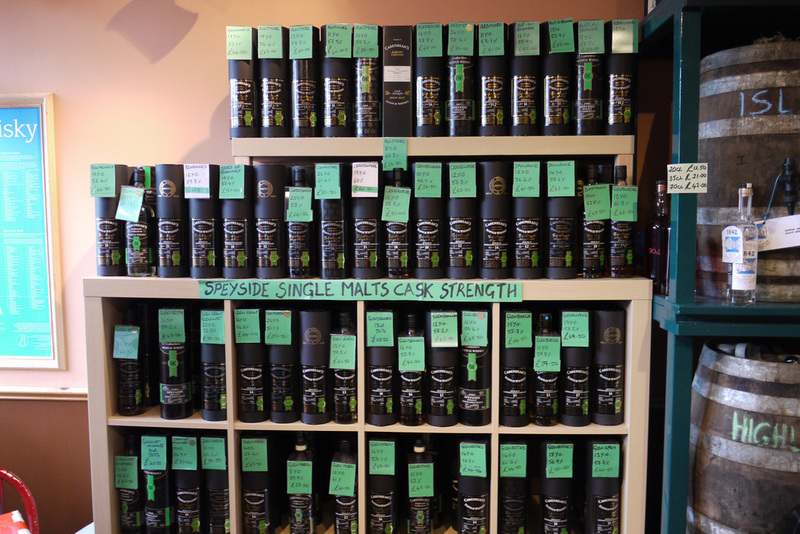 Impressive array of Cadenhead's Malts in their Bolgam Street shop - has now moved back to Longrow. 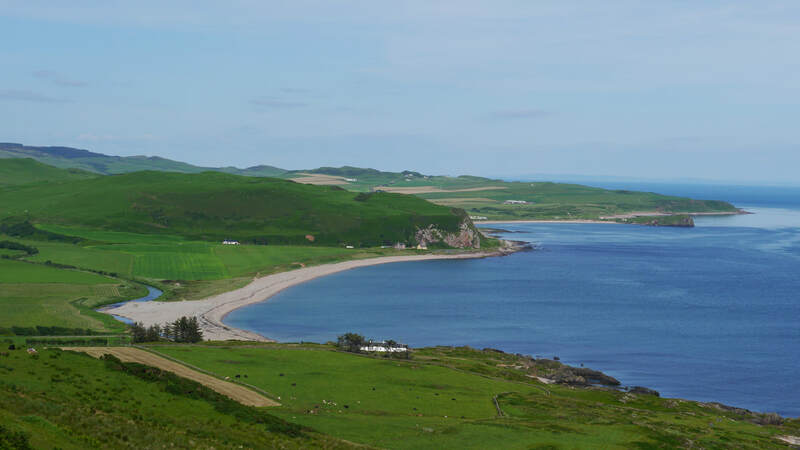 Campbeltown is the only real town in Kintyre - the rest of the Southern portion of the peninsula culminating in the Mull is sparsely populated, though there is a small village at Southend (10 miles from Campbeltown). Sanda Island off the southern tip is privately owned but until 2012 there was a seasonally open pub and hotel. The island can now be rented for £2000 a night! The site implies other packages are available. 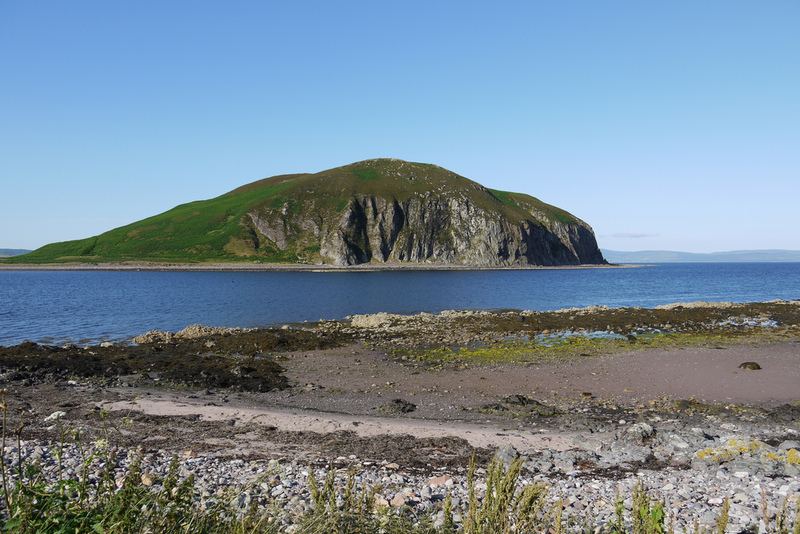 Davaar is an island at the entrance to Campbeltown Loch - a tidal island, also privately owned, but open to the public to walk around the shoreline to its many caves including one with a famous picture of the crucifixion. Campbeltown is a very long way from anywhere - particularly by bike. Nearest train stations: Dalmally (DAL) (90 miles), Oban (OBN) (86), Ardrossan Harbour (ADS) (49 miles plus 2 ferries). Live Train Times: DAL OBN, ADS (The nearest station is actually Ballymoney in N Ireland a 90 minute ferry journey plus 16 miles away). 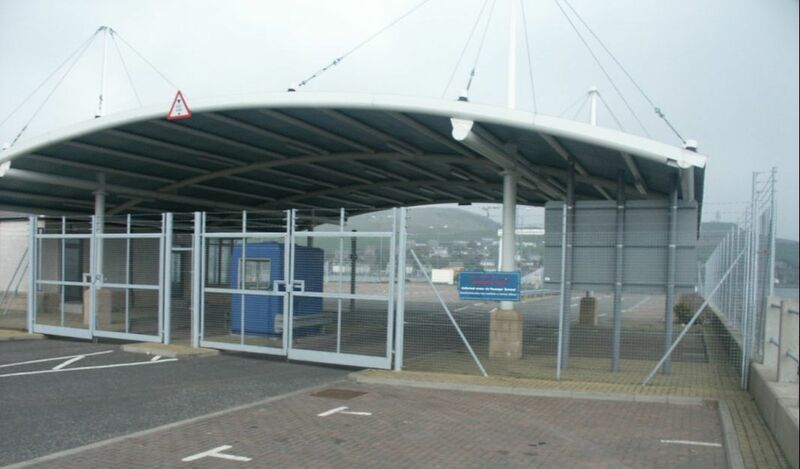 The Scottish Ferry Services: Ferries Plan (2013-2022) recommended an experimental Summer (late April to late September) service from Ardrossan to Campbeltown CalMac Summer timetable, with direct services from Ardrossan to Campbeltown on Thu/Fri/Sun and from Campbeltown to Ardrossan on Fri/Sun and via Brodick on Saturday. There is no winter timetable service. Stayed here in 2013 - good value for money, friendly and helpful. They serve evening meals (£7.50 for two courses). Bike storage in secure back garden. Seaview GH Southend 01586 830106 (10 miles) ?? 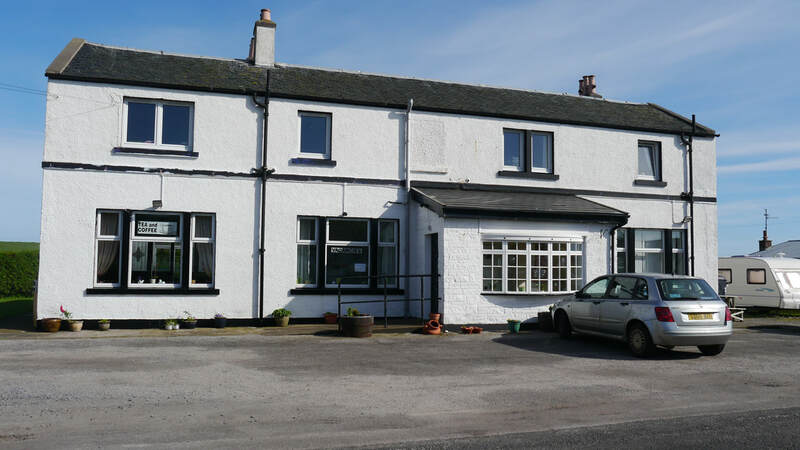 Stayed here in 2009, just after it had opened as a B&B, and have returned in 2013 and 2014 - big rooms, good value, excellent breakfast, and space round the back to shelter the bike. WiFi. My accommodation in 2003 - can't say I remember too much about it, but that's generally a good sign - if it had been somewhere to avoid I would remember! 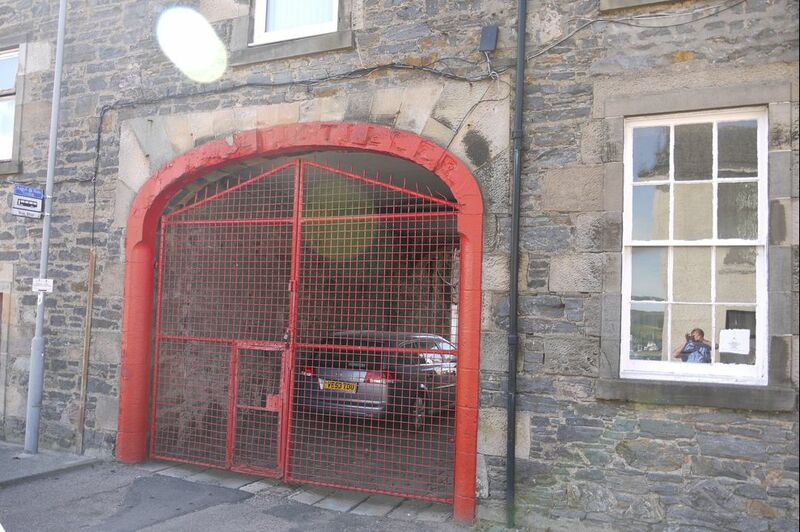 The Hotel that was used by Alfred Barnard for his trip to Campbeltown's distilleries, has sadly now closed down. Good food - better prices than the Harbour View, and did I mention the whisky? Oh right, not yet - see below. Great food and a great view. 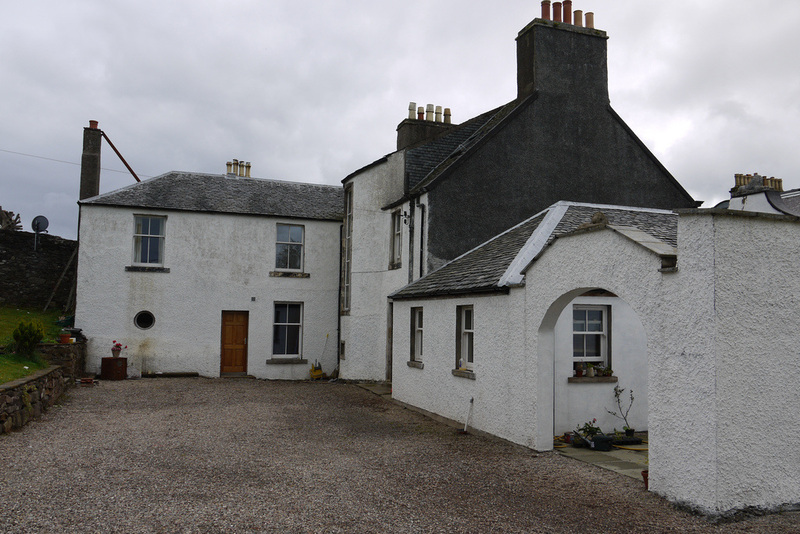 Part of the 'Village at Machrihanish Dunes' - who own hotels and bars in both Machrihanish and Campbeltown. Good range of malt whiskies. 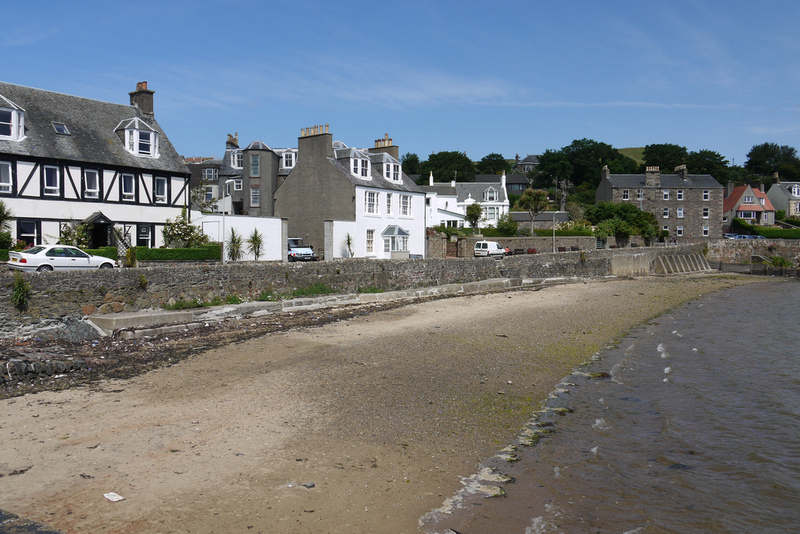 Part of the 'Village at Machrihanish Dunes' - who own hotels and bars in both Machrihanish and Campbeltown. 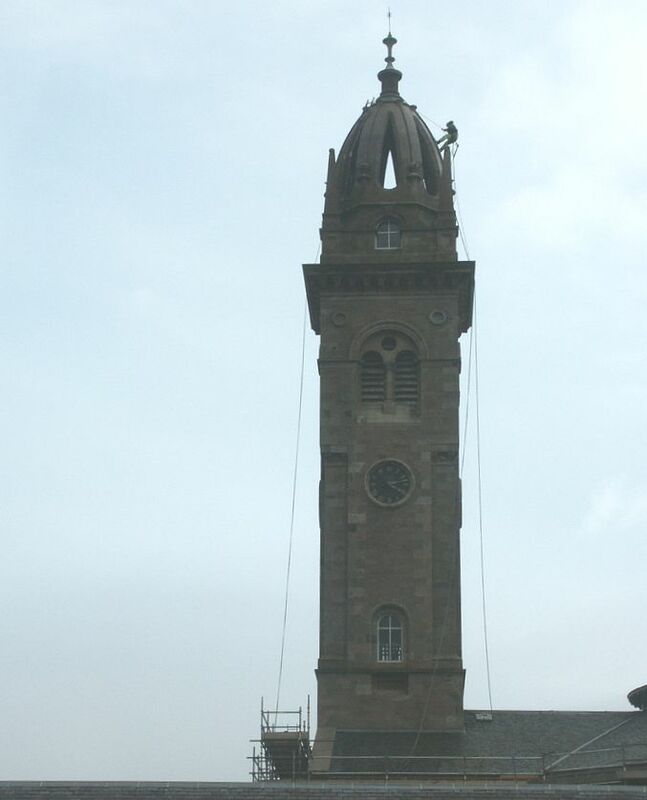 (this is taken from their website, as I've not been in there as I couldn't drag myself away from the Ardshiel! 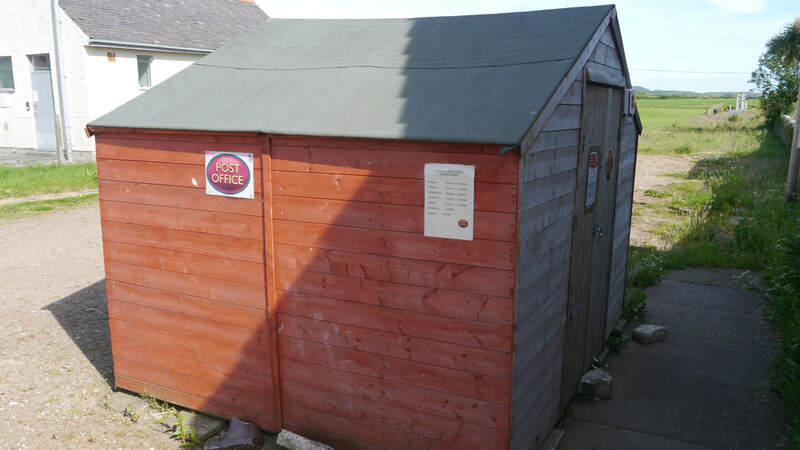 The Cycle Shop in Longrow is now closed. ​Post Offices: Campletown Rieclachan; Southend (limited hours, one of Scotland's smallest POs).